Many of us take the glass in our cars for granted and glass care is seldom a priority. 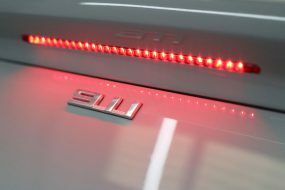 It’s there to allow drivers and passengers to see out – obviously a necessary feature for driving. In fact, though, automotive glass is also a vital safety feature and not only for the visibility it offers: glass provides additional strength for the overall integrity of the car. Glass is composed mainly of silicates and is inherently tough: as it cools, the molecules do not form a regular crystalline lattice structure: instead, the molecules settle into a disordered, amorphous structure. When it breaks, it forms a conchoidal fracture as it has no internal planar surfaces, natural planes along which it breaks apart. The surface is resilient against deformation through impact: sealant manufacturers market ‘glass coatings’ and their toughness in terms of the Mohs scale of hardness. The Mohs scale refers directly to the ability of a harder mineral to scratch a softer material. As an example, talc and gypsum rate 1 and 2 respectively on the Mohs scale. Quartz, with a chemical composition of silicon dioxide (SiO2), a key component of modern ‘glass coatings’, rates as 7 on the same scale. There are two types of glass found on modern vehicles: laminated glass, for windscreens and tempered glass, the most common safety glass used for side and rear windows. Laminated glass is formed with two layers of glass and a thin layer of polyvinyl butyral (PVB) sandwiched together through a series of pressure rollers and then heated. This process uses pressure and heat to chemically and mechanically bond the layers together. When a heavy object strikes laminated glass, rather than shattering into pieces and scattering throughout the vehicle, the PVB holds the pieces in a sheet. 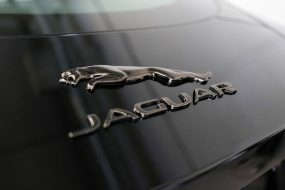 The process strengthens windscreens to a point where it allows the passenger airbag to deploy by bouncing off the windshield, providing literally, the cushioning for the impact. Windscreen glass, therefore, has to be strong enough to withstand the deployment of the airbag as well as the impact of the accident. Laminated glass is also structurally important in preventing the roof from collapsing in the event of a rollover. 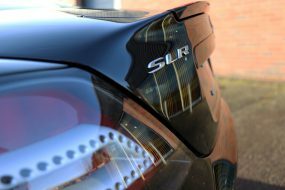 Some high-end car manufacturers use laminated glass throughout their vehicles as it deflects up to 95% of UV rays, further protecting occupants whilst driving, particularly important for sunnier climates or for long journeys. Tempered glass has been heated and then rapidly cooled to strengthen the glass’s outer surface as well as its core, providing stability right through its structure. This provides additional rigidity to a vehicle, allowing it to withstand the vibrations associated with potholes and low-velocity crashes. When tempered glass breaks, it shatters into small pieces with dull edges. This limits the cutting ability of shattered glass following an impact. Tough though glass is, it is not impervious to damage. Industrial and environmental fallout can cause chemical hazing, affecting the opacity of the glass whilst debris caught in windshield wipers can scratch the surface, affecting optical integrity. 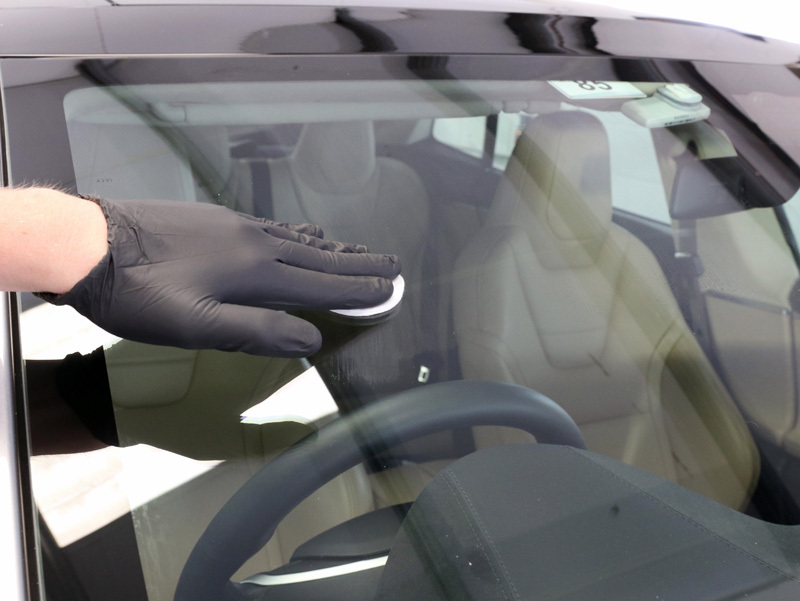 However, replacing windshields can be expensive, particularly if they contain heating elements, so what can be done to restore automotive glass and maintain its condition? 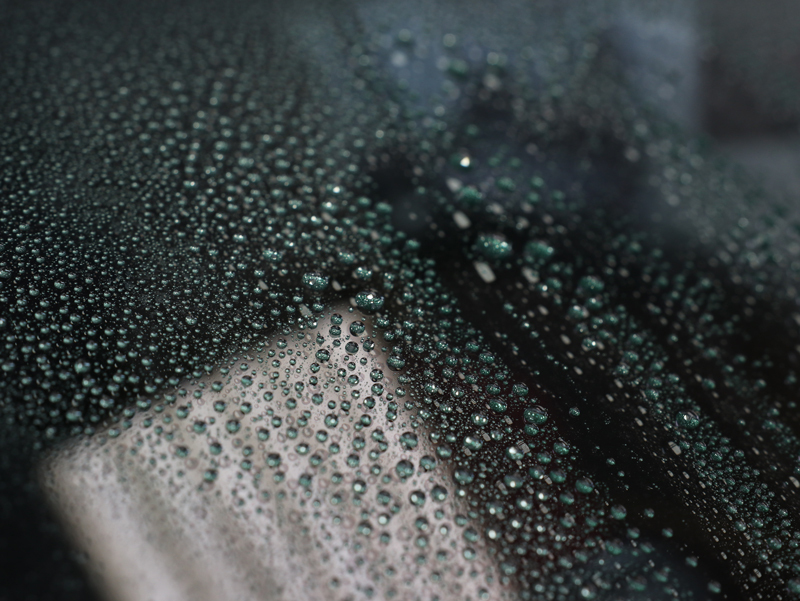 Restoring Clarity: Glass care should start with eliminating the most likely causes of dulling. 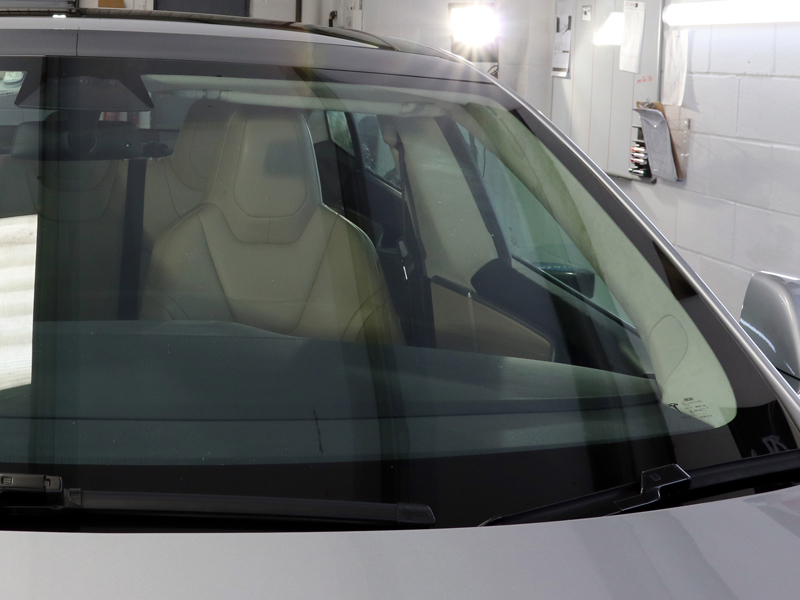 Often, the clarity in glass has been affected by bonded contamination, such as tree sap that has been smeared in an ultra-thin layer across the surface by windshield wipers in an attempt to eliminate the sticky mess. Before undertaking any mechanical processes, it’s better to first ensure bonded contamination isn’t responsible for the reduced clarity of the glass. 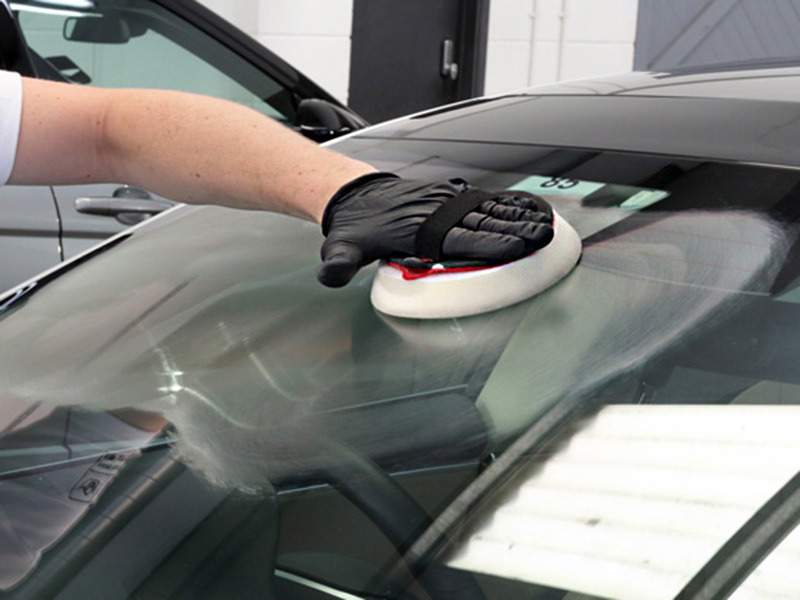 It is a good idea to clay the glass using a fine detailing clay and lubricant prior to using a glass polish, such as Gtechniq G4, Supernatural Glass Polish or Nanolex Glass Polish to deep clean the glass. 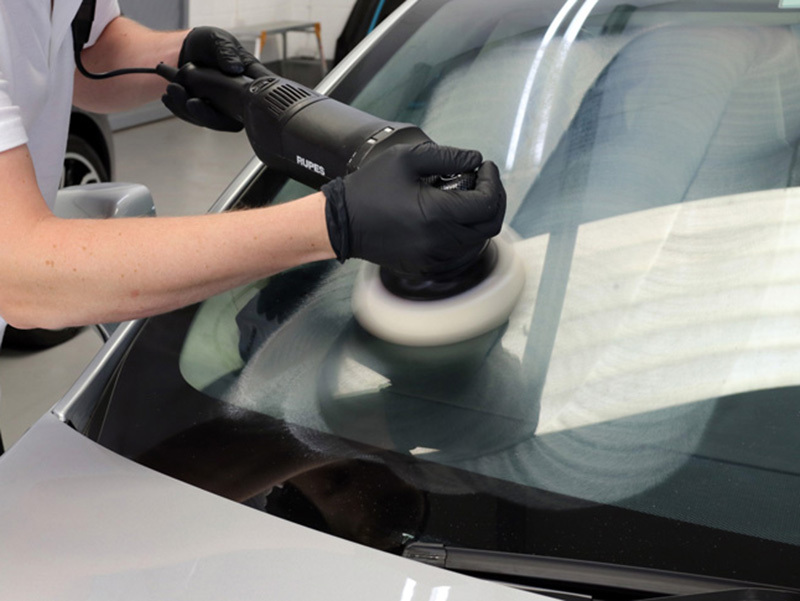 Using one of these products prior to applying a window sealant is also recommended as it reduces the chances of annoying wiper judder, often caused by unseen contamination causing the surface to be uneven. Applying a sealant to an uneven surface exacerbates the issue, hence wiper judder. 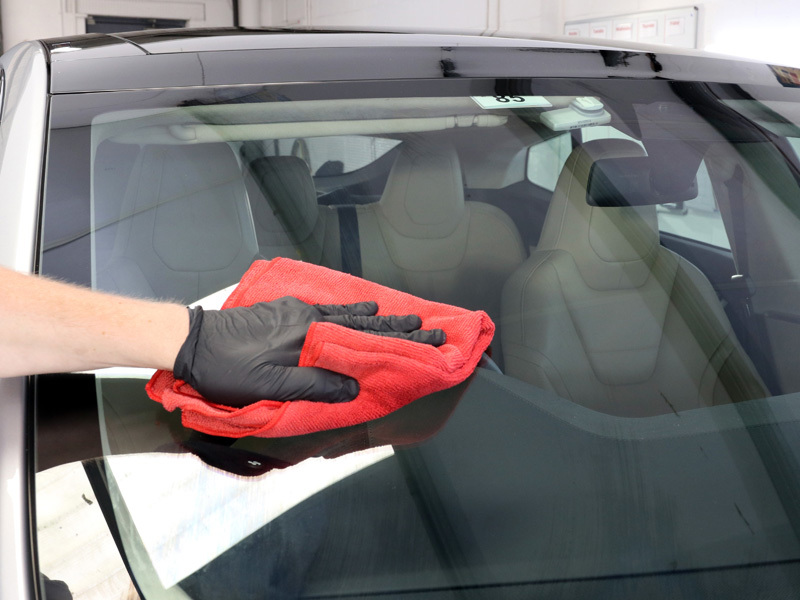 Once deep cleaned and polished, use a residue remover, such as Gtechniq G6 Perfect Glass or Nanolex EX, any residue left over from the polish will be removed and hazing or scratches on the surface of the glass will be easier to spot. At this point, you may decide to replace the glass, refer the vehicle to a professional detailer, or polish the glass yourself. Removing Haze and Scratches: Haze is caused either by a myriad of fine scratches over the surface of the glass, or by a chemical reaction, either from the effects of UV, acid rain or even some astringent wash chemicals. 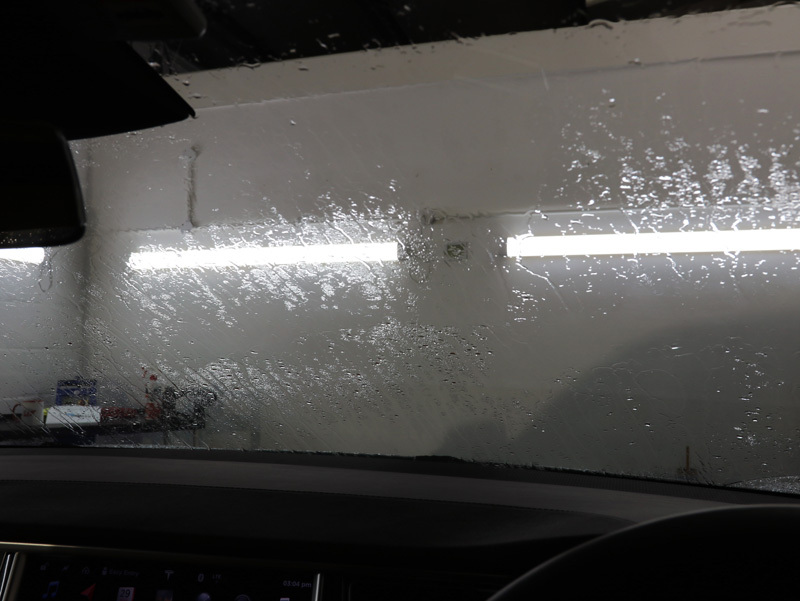 Larger scratches are typically caused by larger particles of dirt or grit being caught either in the wiper blade, or a wash mitt when cleaning the glass. The is some debate over the safety of removing scratches from windshields as there is a potential for damaging the glass further, causing a phenomenon known as lensing. Lensing is when light passing through the glass is refracted off the surface, distorting the way an object is viewed through the glass. Obviously, with a windscreen this causes a potential hazard, increasing or decreasing the illusion of distance. As a rule of thumb, any scratch deep enough to catch a fingernail in is too big to be eliminated. However, with finer scratches, a polish containing cerium oxide can be used on a rotary or professional-grade dual action polisher such as from the RUPES BigFoot or FLEX range. A foam polishing pad of medium to hard consistency can be used, or use a pad specifically designed for addressing issues with glass. Method: Prime a machine polishing pad, then liberally apply the cerium oxide polish. Adding some pressure to the machine polisher and using the maximum speed, work in small sections at a time. Take care to keep the area well lubricated by repeatedly spritzing water onto the screen as you work. Check your work often and ensure you work evenly over the entire windscreen in order to ensure a uniform finish. Lighter defects can be rectified polishing by hand rather than using a mechanical machine polisher. The method remains the same. 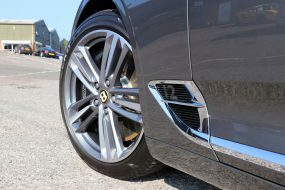 Protecting Glass: Once clarity has been restored, protect the glass using a hydrophobic glass sealant such as Gtechniq G1 ClearVision, Kamikaze Collection Intenso, Polish Angel Rain or one of the Nanolex coatings, Urban or Ultra, depending on whether you’re predominantly a town or motorway driver. These coatings effectively repel water, preventing the splattering effect over the window which can distort the view. Hydrophobic coatings are easy to apply. A few drops are pipetted onto a cotton applicator and wiped over the glass using a circular motion and working from edge to edge, ensuring complete coverage. Repeat the process and then allow the coating to cure for between fifteen and twenty minutes, depending on ambient air temperature and manufacturer recommendations. Then, apply a residue remover and buff off excess product to reveal a completely transparent surface. Hydrophobic coatings repel rainwater and the contamination carried by it. Raindrops roll into beads on contact with the hydrophobic surface, allowing them to be easily blown away, carrying the contamination with it. A coated window is immediately obvious by the tell-tale droplets the water forms. This has the combined effect of keeping the windshield cleaner for longer by inhibiting contamination from adhering to the surface, all while reducing fatigue for the driving during inclement weather conditions. Maintenance: Use a high quality screen wash to ensure and contamination is easily washed away. Using a concentrated washer fluid allows you to alter the concentration of the solution depending on the season. When washing your vehicle each week, ensure the wipers are also cleaned thoroughly and degreased, to prevent a build-up forming. 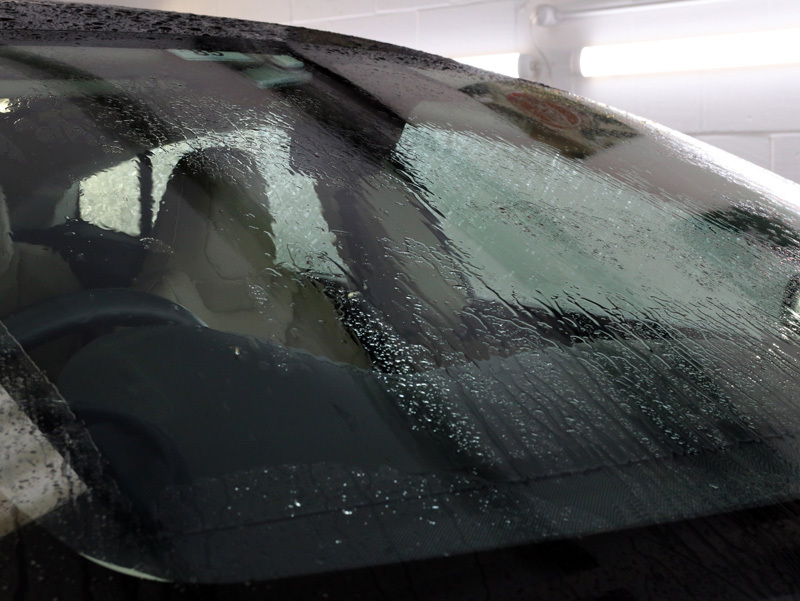 This will help extend the life of the wiper, prolong the hydrophobic coating and protect the windshield from damage. A range of automotive glass care products from the world’s most popular car care manufacturers is available from UF here. 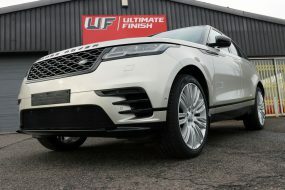 If you have any questions regarding glass care or any of our products, please get in touch either by emailing sales@theultimatefinish.co.uk or calling on our landline and mobile-friendly number, 0333 800 8004. Our team is on hand, Monday to Friday, 8am thru 6pm to take your call.